Nassau Suffolk Exteriors is different from other Long Island home improvement companies because we have seasoned, veteran contractors in every department. When you hire our St. James Exterior Services for your renovation project, you're getting individuals with years of experience in their services area. Not only that, but each of our home improvement departments are run by an expert contractor that has worked extensively in their specialized field for at least ten years. 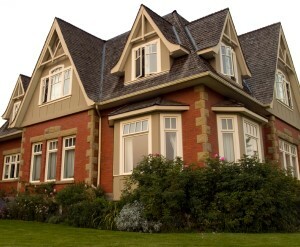 Adding siding to your St. James home is a good way to make it look new again. Just like a fresh coat of paint renews a room, vinyl siding can make a home look a lot newer than it actually is. The vinyl siding experts at Nassau Suffolk Exteriors can help you pick the right St. James siding for your home. You can rely on our experience in installing vinyl siding to St. James houses to make sure job turns out right. Windows are a part of your home that must be chosen very carefully. You can save lots of money on your energy bills with the right St. James replacement windows. Trust your next home improvement project to the expert St. James replacement window contractors at Nassau Suffolk Exteriors! Contact us for a FREE consultation today! If you're looking for replacement windows, siding, or roofing services in St. James, call Nassau Suffolk Exteriors at 631-462-1383, or fill out our online request form.